Let’s talk about books! Last year I set my goal on Goodreads to read at least 75. Halfway through the year, I realized I was reading too fast and upped my goal to 100. I ended up reading 109. Whoops. So I accidentally completed one of the goals on my bucket list in reading 100 books in one year. This year, instead of challenging myself further, I’m actually going to cut back. That’s not to say I won’t read a ton, but the pressure to read 75+ books is actually incredibly overwhelming. That’s at least a book-and-a-half a week, and once you set the goal to 100, that’s a book nearly every three days. While possible, I want to set aside time for those difficult (*cough* boring *cough*) books. So instead of a goal involving the number of books, I’ll be setting a goal involving the type of books I want to read. Then I’ll take those types, add them up, and set it as my goal on Goodreads because I like seeing the book collection and statistics at the end of the year. A while back, I wrote a post on The Importance of Poetry. It wasn’t until college that I really discovered the joys of reading and writing poems because before then, I hadn’t found any that I particularly liked. Since then, I have been making an effort to create more poetry, as is evidence from the whole page I have on poetry and my monthly poems. Last year, I finished a short collection, Ode to London and started reading Walt Whitman’s Leaves of Grass. I can’t say I actually finished the latter, but it’s still on my shelf, waiting for me. I enjoy visiting my local library, but I also like buying books. If a particular story stuck with me, or was indie published and I wanted to support the author, I’ll go out and buy the book. That and I just like books. But what’s the pointing in owning a bunch of books I once enjoyed, only to never read them again? There’s no point. It’s time to endeavor to read books I’ve enjoyed so much that I went out and bought a copy. Just a couple I’m currently eyeing include Code Name Verity and Rose Under Fire. I know I just read them a couple summers ago, but they’re sooooo good! My brother isn’t much of a reader, but when he does read, he sure shows me up on reading nonfiction. While I insist on reading about dragons and con artists because I find them interesting, my brother would pick up books on wherever we’d be traveling next so he could give an accurate report on his vlog. I may not read the same types of books, but I don’t just want to read fiction. For this goal, I will not be counting poetry or plays, even though they’re sorted with the nonfiction section at the library. No, I’ll be looking for something more along the lines of a biography or a how-to. Just a couple books on my To-Be-Read List include The Seven Basic Plots: Why We Tell Stories, In a Different Key: The Story of Autism, and The Art of War. That being said, many times, classics tend to surprise me. I go into the book usually knowing nothing about it, and there I find a wonderful story. As an indie author myself, I figure it’s only fair to read what other indie authors have written. And some of those books can be amazing, let’s be honest. My favorite indie-published book I read last year being Where the Woods Grow Wild by Nate Philbrick. The narrative swept me away, and I forgot that I was even reading so I finished the book in two days. A couple indie books I am particularly looking forward to include The Beast of Talesend by Kyle Robert Shultz and Embassy by S. Alex Martin. Yes, I realize 1800 is a very specific date. But most of the books I’ve been reading since I’ve graduated from grad school are recent releases. The latest books are important, I won’t deny it, especially for those interesting in publishing. It’s good to know the latest trends. But the old books are important too. They laid the groundwork for fiction as we know it today. It would be a shame to ignore them. I’m currently trying to work up the courage to check out Le Morte d’Arthur. I wrote an essay on the first book when I was studying for my MA, and I checked out like, four different copies and decided to bike with them all AT ONCE. Never again. Le Morte MY ARMS. 7) One book over 1,000 pages long. Cutting back on my ambitions, am I? Hmm, maybe not. I thoroughly enjoy long books. There’s nothing like sitting down with a volume you have to hold in two hands (or rest it on an armrest/table?) and hope it doesn’t fall on your face when you’re lying on your back. That and I like the idea that a good book will last longer than a week. In 2016, it took me eight days to read Jonathan Strange & Mr Norrell (1,006 pages). Yes, I know I’m insane. But 100 pages a day is pretty manageable. Last year, it took me two-and-a-half months to finish Les Miserables (1,232 pages). How long do you think it will take me to finish War and Peace at approximately 1,392 pages? In total, my goal this year is to read 17 books. Sure, I’ll probably read more. But this year, I want to focus on the type of books I want to read instead of the number. Quality over quantity. Let’s chat! Do you have any bookish New Year’s resolutions? 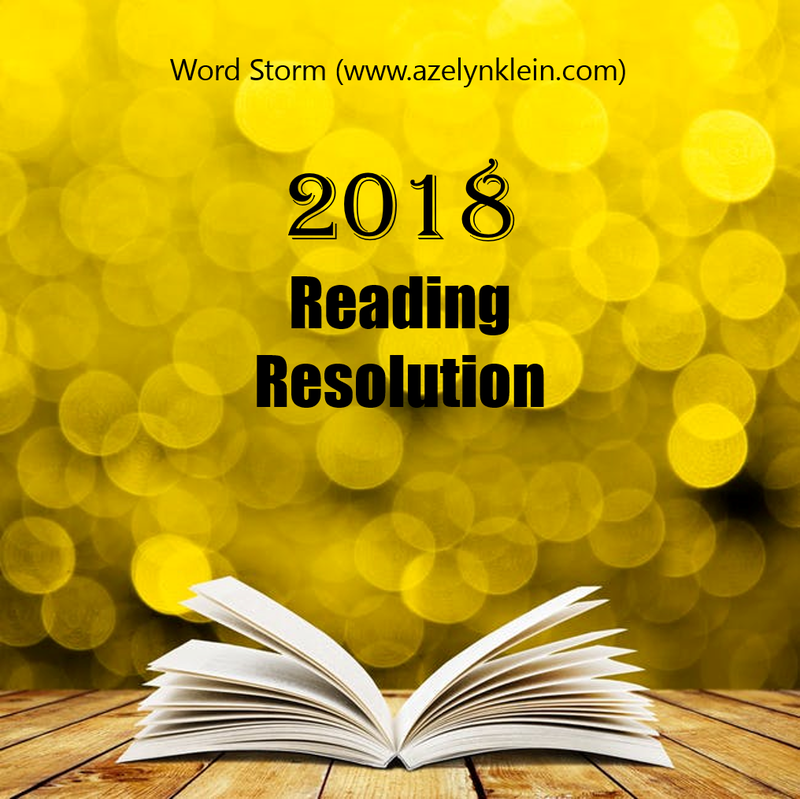 What’s your goal for reading this year? Are there any book types you want to read more of? Literary references: Ode to London edited by Jane McMorland Hunter, Walt Whitman’s Leaves of Grass, Elizabeth Wein’s Code Name Verity and Rose Under Fire, Christopher Booker’s The Seven Basic Plots: Why We Tell Stories, John Donavan’s In a Different Key: The Story of Autism, Sun Tzu’s The Art of War, Nathan Philbrick’s Where the Woods Grow Wild, Kyle Robert Shultz’s The Beast of Talesend, S. Alex Martin’s Embassy, Sir Thomas Malory’s Le Morte d’Arthur, Susannah Clarke’s Jonathan Strange & Mr Norrell, Victor Hugo’s Les Miserables, and Leo Tolstoy’s War and Peace. I like your approach to reading this year! Haha, Les Mis is certainly a brick, isn't it? It took me nine months to read it, but I enjoyed every word. I love discovering awesome classics. Sometimes I'm disappointed (@ Voltaire), but sometimes (like with Les Mis, Gulliver's Travels, or Wuthering Heights) I find a new all-time favorite. Best of luck with all your goals this year! You're right! Classics can be fun... or not. I haven't finished Gulliver's Travels yet, but I was always fascinated with the story as a kid. Thanks for the comment, Eleanor! Hey that's really cool how you have specific goals for what kind of books you want to read!! I generally just say "read x amount" 😂 Although this year I've specified 20 rereads, but we'll see how I go!? I have a horrible habit of making goals and ignoring them for the entire year.😂 Anyway GOOD LUCK!! 20 rereads. Oh, goodness. Have fun with that! Thanks for the comment, Cait!